We’ve got a posse of west coast moto girls coming to NYC next week with me. We’ll spend our days at the International Motorcycle Shows. But our nights, hahaha, are ours! 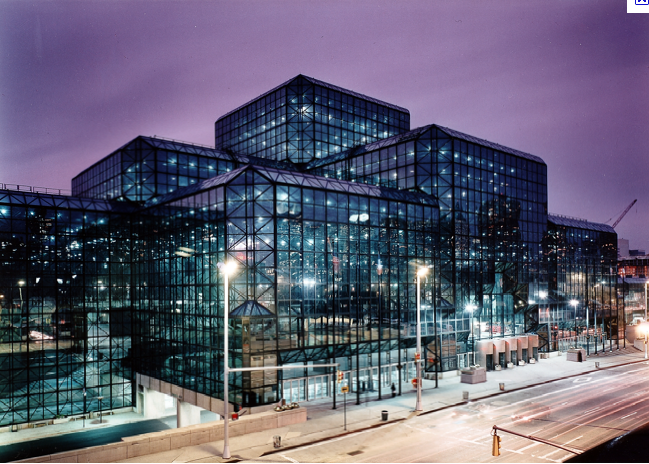 IMS will be at here at the Javits Center. I hope the sky will be purple. comment on this blog and tell why women bikers rock. Or…. And I’ll buy the winner a beer at our after party. Whoohoo! Chicks On Bikes book is having a get together after party. We’re cordially inviting all women bikers who we know and love or would love to know. Guys are welcome on extremely good behavior. @ The Hudson Yard Cafe – a short walk across the street. There will some very honored guests coming out. I tell you just one, the funniest moto blogger of them all FuzzyGalore.com – really witty and whacky stuff. And to make Fuzzy just too perfect, she’s a girl. I’m pretty excited about meeting her. I’m giggling thinking about it. Let me tell you where I really really wanted but cannot have the after party: American Trash. Its a biker bar open to all – sporty or cruisery, clubs or solo. The owner is an avid Ducati guy who’s owned the place for 22 years and dishes up superb clam chowder. Alas, it on the upper East Side. Which is fine if you aren’t bringing all your friends along from Javits Center halfway cross town. So it is not there. My pick for NY biker bar. This entry was posted on January 14, 2011 at 1:52 am and is filed under Chicks On Bikes, Event, Uncategorized. You can follow any responses to this entry through the RSS 2.0 feed. You can leave a response, or trackback from your own site. I wish wish wish I could take you up on this, Christina! Sounds like way too much fun, with some great connections going to happen. Alas, not this year, I’m afraid. But I know you will have a splendid time representing for all of us west coast gals. Cheers! Wow, C – you’re WAAAAAY too kind! I’m trying like hell to make it there next weekend! OH…MY… God. If all my favorite bloggers in the same room, what will happen? It will now be called the moto girl blogger convention. So… I guess I’m going to be an honorary woman, do you guys have any tips for me? Christina, word of advice… beware of Fuzzy’s bear hugs! Well since you ask, we’d like to address us all with the title goddess – ie. Goddess Christina, would you like a beer? Seriously, its totally open to guys. I just want to get some great women riders together and get some community going on. Christina, you are the rock’nest “Chick on a Bike” of them all. You know why I like Chicks on Bikes? Chicks on Bikes are not afraid to be themselves, will say what needs to be said, they like to have fun just for the fun of it. To top it off Chicks on Bikes ride to just go out and ride for the hell of it. Sorry I can not make it to NY next week end. Really wanted to, it is only a 5 hour short ride on the bike up there from Virginia. Got to work a Fishing and Boat Show. Time for the Polar Bear Ride in a few minutes, raising money for the cold weather shelter for the homeless. How can I get tickets??? And that bar, American Trash? It’s like right around the corner from Corinne’s mom’s apartment where we’ll be staying. We should all go there one night. I’ll either save tix for you or get you in with a vendor pass. Yes, lets go up to American Trash. I originally booked it there and then realized the distance. The owner is great and super helpful in hooking me up. A friend a KTdid is a friend of ours, do come and all good people are welcome. Woman rock because we can ride and ride and ride and ride some more. Check out what I will be doing about riding this summer, http://missrider.com/blog/. Will be riding in California coast also, if you are from there, send me email and I’ll stop with Arlene from http://scooter-girls.com/ and maybe ride with you girls. Hope to meet you girls at the show Saturday.